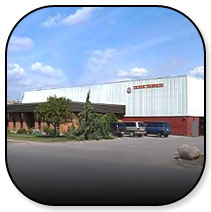 Company Profile – Clark Kennedy Co. Inc.
Clark Kennedy Co. Inc. was founded in 1927, and it has been family-owned and operated for three generations. Throughout our existence we have maintained a reputation as a quality supplier that places customer needs as THE top priority. Our 30,000 sq. foot facility is located in Rexdale, Ontario (Canada) within a five mile radius of Pearson International Airport, CN Rail and major highways. Each member of our management, sales and design team has a minimum of 30 years of experience in the manufacture of pressure vessels parts and in the vessel building industry. We are members of CHEVMA, Canadian Manufacturers Association, The Toronto Board of Trade, and Certified member of the Purchasing Association. One of Clark Kennedy’s greatest assets is its production staff. Years of training and experience (along with low turnover/employee retention), assures top-notch craftsmanship. Dishing and flanging operations in tank end manufacture is a time-honored skill…very nearly an art form. Equipment is only one small part of the equation that produces the desired end product. We are constantly striving to maintain continuity in the quality of what we produce by utilizing an apprenticeship program while at the same time keeping pace with technological advances.